In case you hadn’t noticed I am becoming rather tired of schlepping into Manchester on a regular basis — not work particularly, but the city, its endless building sites and general crowdedness. But that’s one reason I’m taking a sabbatical from January. So this will change, at least for the first part of 2019. For now, there are still some early mornings to be done. 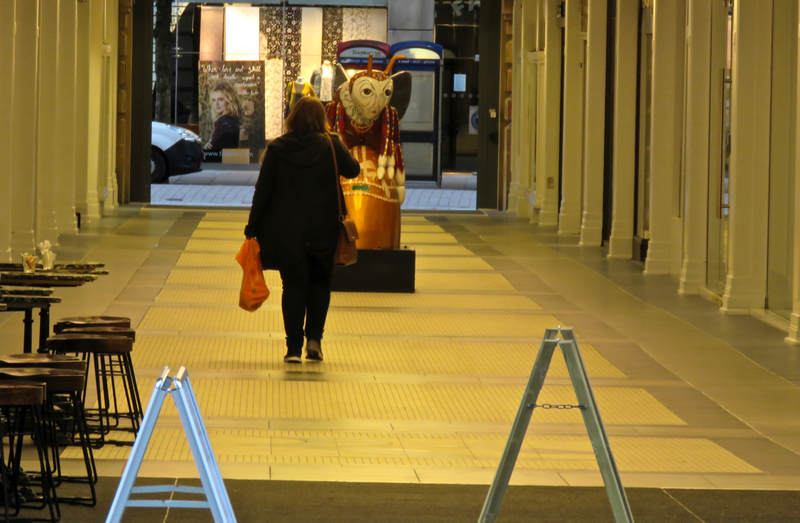 Note the ‘Queen Bee’ scuplture inside this, the Queens Arcade.